Most of them were taking on a lot of things that they didn’t enjoy doing. They were very ambitious and they excelled in school and their extracurricular activities. 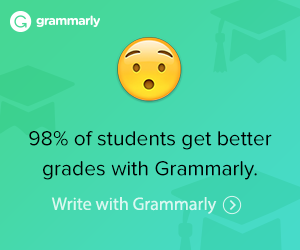 But most of them sounded like they were on the verge of burning out. I empathized with them because they reminded me of myself during my sophomore and junior year of college. I had a lot on my plate, and I struggled to give myself the balance I needed. As a result of my heavy and unfulfilling workload, I finally burned out. I also went through a period of internal conflict because I felt like I wasn’t doing enough when I scaled back to reflect, even though it was necessary. As if that wasn’t bad enough, I then lost my motivation for a while because I was wasn’t sure I was on the right path. If you can relate to anything I mentioned above, this post is dedicated to you. In college, there’s a lot of pressure to succeed and get involved in a lot of different activities to be considered an upstanding student or a leader on campus. As a result, we tend to compare ourselves to other students who embody that and feel like we’re not doing enough. I’m here to tell you that it is okay if you’re not an e-board member of a student organization or a part of the honors college or have a 4.0 GPA, or an offer after graduation yet. Whatever path you’re on is the path that you are meant to be on in order to become the person you need to be. I’m not saying you can’t aspire to such things, but make sure that if you do, it’s because it’s something that you want to accomplish for yourself. It’s not about anyone else. It’s about YOU. So what did I learn after getting burned out and losing my motivation? Time management is never an issue when you’re doing something you love. It didn’t click until a few minutes after our call. Not only in my life but in the lives of the other young women I interviewed. The problem we all had was that we were doing a lot of things for the sake of being an upstanding student, but we did not enjoy all of these things. For some, we were taking classes that we weren’t interested in so just doing the required work felt like a chore. For others, we didn’t have much time to do the things we really enjoyed because of excessive school work and extracurricular activities. The commonality in these situations was that we aren’t prioritizing what is important to us. We’re not focused on what we want to achieve (maybe because we don’t know yet), so we’re all over the place. In my sophomore year, I had interviews and conferences left and right; I joined several student organizations; I attended almost every networking event and resume review, AND I HAD TWO JOBS. It was only a matter of time before I burned out. When I began to refocus, I cut out a lot of unnecessary activities that I felt pressured to do. I began to reflect and take note of what was important to me and I developed a goal-oriented mindset; I focused on any activity that would get me closer to my goal and eliminated what wouldn’t. You’re not on the same path with anyone else so why try to be like anyone else? It doesn’t matter if there’s someone in your major with a higher GPA and more experience than you. Remain focused on your goals and improving yourself for your benefit, rather than to compete with other people. We naturally tend to be hard on ourselves while we give other people the benefit of the doubt. You have more going for yourself than you acknowledge. Stop discouraging yourself and discounting your accomplishments. Be proud of who you are and don’t compare yourself to anyone else. Get a piece of paper and write your goal at the top. Next, break down the process and define what it would take to achieve that goal. What activities would bring you closer and what events would provide valuable experience? On a separate piece of paper, write down everything you’re currently doing and things that take up a huge amount of your time. Compare the list and ask yourself if what you’re currently doing is bringing you closer to accomplishing that goal. Where can you scale back to either make time for yourself or other things that can provide more value? If you want to be an accountant, use the top-down approach to define your career path. It’s okay if you don’t have everything figured out – write what you know. Now, other than your classes (which are mandatory), if you’re going to get involved in other areas on campus, make sure it’s going to get you closer to your goal. So if you only have time to balance one student organization, make sure it’s a professional organization for accounting or business majors, rather than joining a kayaking club, for example. If your goal is to develop a positive mindset (either in addition to a career goal or as a short-term goal), then use the same approach described above. Follow social media accounts that have motivational and inspirational content, or watch motivational videos to start your morning or listen to podcasts. Also, make sure you surround yourself with positive people and avoid situations that could put you out of your element. If you’re harboring negative relationships, work on dealing with that issue first. These take more of a toll on your energy than you realize. Take inventory of what is weighing you down and to rid your life of negativity so that you can take in more positivity. Your time and energy is a limited currency, be as wise in spending it as you would with your money. When we take on a lot of things, we tend to neglect ourselves. As a result, we get very overwhelmed and start slacking on our tasks. Then we get stressed out from trying to rush everything last minute. In my case, I’ll put everything off to watch “one” episode of my favorite show on Netflix… and that will turn into Netflix rudely interrupting me at 3:00 am to ask me if I’m still watching (Yes, I’m still here. Now mind your business) just before the last episode of the season… and then I’ll start my work an hour before it’s due the next day and stress myself out the whole time. Anyway. A more effective way of making time for yourself when you’re extremely busy could be by making a to-do list for the day, and reward yourself with an hour or two of Netflix after you’ve made progress. Whatever it is you enjoy, make sure you incorporate that into your day, or your week to give yourself that balance you need. If you struggle with time management, getting organized will make your life a lot easier. Ironically, this process requires even more of your time but trust me; it’s worth it. Google Calendar: this is literally my life. I have all my due dates for class work, events I plan to attend, reminders, etc. in my calendar. I also add two alerts for each event (30 minutes prior and 1 day before) because I will forget something if I don’t. Google Drive: my life part 2. I take all my class notes in here so that I can access it from any device. I also upload most of my files to my drive for the same purpose. Google Keep: my life, 2nd runner-up. This is where I make my to-do lists and take notes on random things. It’s basically sticky notes that can be accessed from any device from your Google account. You can also make checklists and share them, etc. Schedule Maker: I’ve always used this website to create my class schedule to post on my wall since sophomore year. I just did a random Google search and went with this one because it’s color coded. Reminders App: I use the “Reminders” iPhone app (the one it came with) to send me reminders about some of these events or tasks I need to complete the next day. A lot of people tend to struggle with creating or managing a calendar because of the time and effort it takes, but I promise you, you won’t regret it! Related: 14 Habits of Successful College Students that will Boost Your GPA – Learn the secrets and study habits that helped me maintain a 4.0 GPA throughout college! The main thing I want you to take away is to ensure that you are doing things you enjoy and that these things will bring you closer to your goal. You don’t feel stressed out or overwhelmed when you’re watching Netflix or spending time with your friends. Nor do you feel stressed out when you’re working on a project you enjoy. Do what’s mandatory and fill up your free time with things that are going to push you in the direction you want to go. Everything You Ever Wanted to know about being a Successful in College – learn how I maintained a 4.0 GPA in college WITHOUT buying any textbooks, how I save money in college, and more! The Ultimate College Shopping & Move-In Day Guide – Are you moving into a college dorm but not sure where to start? 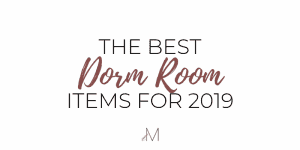 Here is a list of things you actually need, the best way to shop, tips for packing, and how to successfully move in and out of your college dorm. Plus get a FREE Printable College Essentials Shopping List! 30 Things that will Transform Your College Dorm – Here are some awesome items that will make your college dorm the envy of all your friends! 14 Habits of Successful College Students that will Boost Your GPA – Learn the secrets and study habits that helped me maintain a 4.0 GPA throughout college! The Hidden Truth about Why You Struggle with Time Management – Your best resource to avoid burning out in college. Sometimes we think our poor time management skills is our problem but it actually isn’t! 11 Insanely Easy Ways to Save Money in College – check out these tips on how to save money in college so you won’t be a broke college student! This includes ways to get cash back, reduce your expenses, and save on everyday purchases and travel! This is the first post I’ve seen from you and I honestly love it! It’s so real but actually useful as well. Props to you !! !